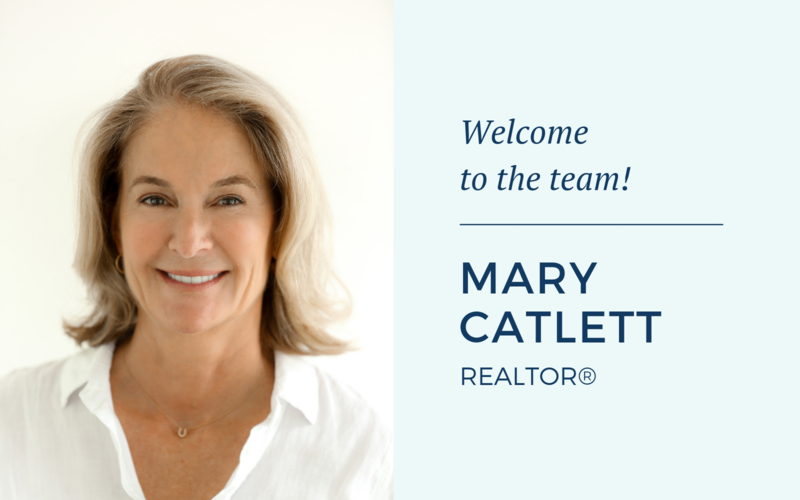 Middleburg Real Estate | Atoka Properties announces the addition of REALTOR® Mary Catlett to our Middleburg office location, proudly serving home buyers and sellers. While living in New York City for almost twenty years, Mary Catlett developed an expertise in nineteenth and twentieth century American art and design that eventually led to research and consultation projects with Sotheby’s, the Metropolitan Museum of Art, and the Smithsonian’s National Design Museum. Since moving back to Virginia with her family, Mary has put her formal knowledge of American design history to work renovating and decorating historic homes in both Middleburg and Richmond. Mixing contemporary paintings, art and photography with traditional furnishings has been a favorite design approach-to enliven traditional interiors and to stimulate fresh ways of looking at art and our collective cultural history. Sophisticated and motivated, Mary brings a unique perspective to real estate that has evolved from both her career interests and her personal investment in residential properties over the last 30 years in Manhattan, Long Island and Virginia. After so many years in the city, Mary and her family have enthusiastically embraced country life. In her free time, Mary hunts with Piedmont Fox Hounds, and enjoys shooting sporting clays. Her children have attended The Hill School, Foxcroft School, EHS, University of Virginia and Georgetown University. A native Virginian, Mary Munford Catlett was born and raised in Richmond, attended St. Catherine’s School, and graduated from the University of Virginia in 1986. She holds a Master of Arts in The History of Design and Curatorial Studies from The Parsons School of Design, in partnership with The Smithsonian National Design Museum, (2005). Mary’s contact info can be found here.